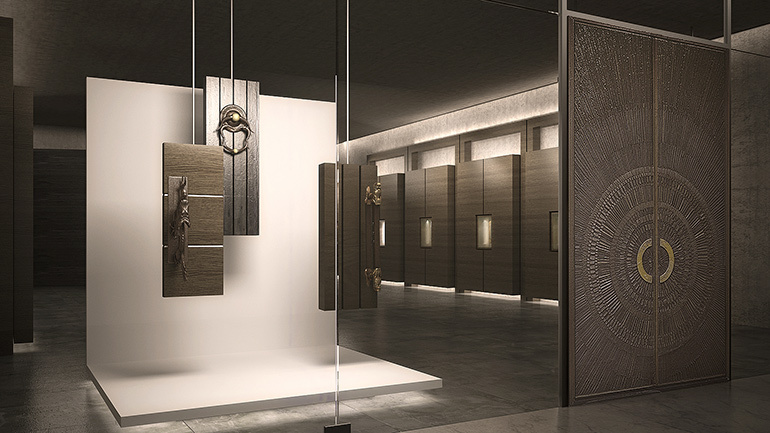 UBM (Universal Building Materials Merchants, Ltd), one of Saudi Arabia’s leading suppliers of quality building materials and an HSBC partner, initially approached us to assist in a market study of a new concept retail boutique for luxury door hardware targeted for fast growing high-end housing market in Saudi Arabia. For the purpose of this study we were asked to develop a conceptual design together with required visuals to be used to perform their market study. 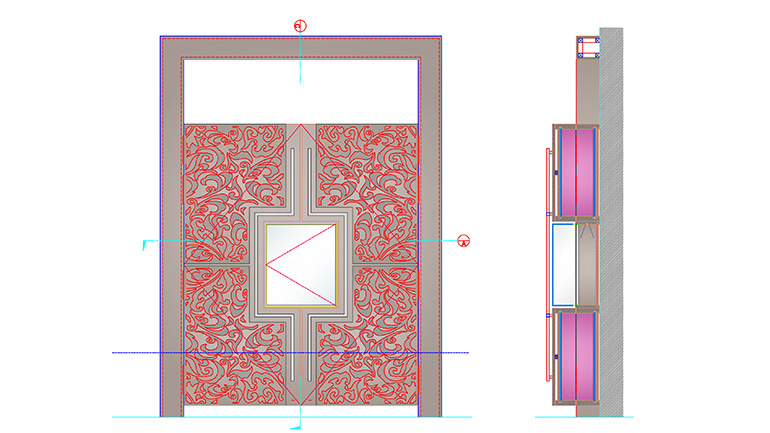 To store and display these highly crafted and unique door hardware sets we designed jewelry-box inspired large modular double door cabinets to house different collections. 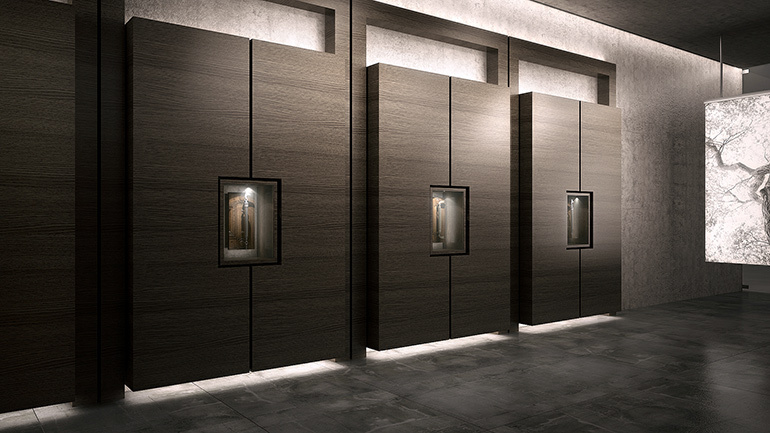 The highly crafted cabinets with their laser-cut ornamented doors showcase selected pieces of the collections in large glass cases always visible on the outside with the remaining pieces of the collection displayed inside and available for view upon request. Due to the overwhelming success of our concept during the market study UBM asked us to assist them locate a suitable site in order to fully realize the project.